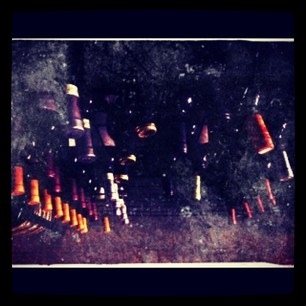 I call this “Wine Cellar.” It all started as a picture of the wine rack at Gallo’s Italian Grocery. The electricity went out while I was waiting to place my order, and this is what I looked at for a good 7 mins. Why not take a picture? Flash off, of course. Stealth. Later on I opened it in a photo editing app, and here we are. Cold, gritty, wonderful.